With its roots in the distant, pre-Christian past, the art of the icon has been refined over centuries. Icon paintings are instantly recognisable, but have never been widely understood in the West. The art developed in the deserts of the Middle East, passing through the Roman and Byzantine imperial ages and achieving its highest form in Russia, while exerting a discernible influence on the Italian Renaissance along the way. Richard Temple's lavishly illustrated book provides a concise but thorough tour through the ages of the icon, tracing the art from its origins to the 19th century and beyond. The icons selected to illustrate the text include famous works as well as many stunning, rarely-seen ones. 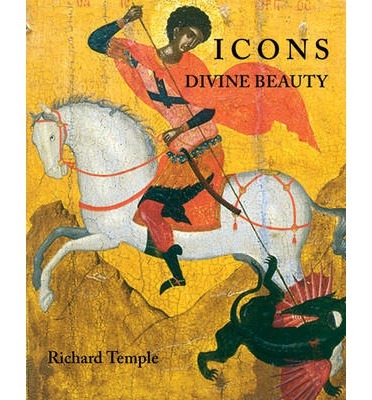 This particular emphasis on lesser-known masterpieces, along with the author's cogent, thorough and very personal overview of the major periods and themes of icon painting, that make this book a truly unique contribution to the field of art history and appreciation. It is both an introduction for the unfamiliar and an object in its own right that should delight connoisseurs.